Polyurethane molding can create a huge variety of components for nearly any industry, and though MUI got its start in the oil & gas industry, custom polyurethane components are multifaceted. This is because the material itself is extremely versatile, and can be produced in weights ranging from a single gram to thousands of pounds. There is almost no limit to how the material can be formed, and MUI’s engineering team can modify existing product designs or craft a variety of custom inserts and designs to meet any company’s needs. How can custom polyurethane molding facilitate a company’s processes? Every company’s needs are different, which is why our engineers will consult with a client to determine what their particular challenges are. Once understood, custom components will be diagramed in a 3D drawing program, which the client will have an opportunity to review and assess before moving forward. Our engineers will select the proper material composition to derive the desired traits from the product, and produce a prototype using in-house tooling methods. This prototype will be extensively tested, using standards and procedures from the American Society for Testing and Materials (ASTM). These testing processes allow us to isolate various physical characteristics of the prototype and generate reliable data sheets that will be given to the client. Once the prototype has been tested and all issues corrected following testing results, MUI will begin full production for the client. 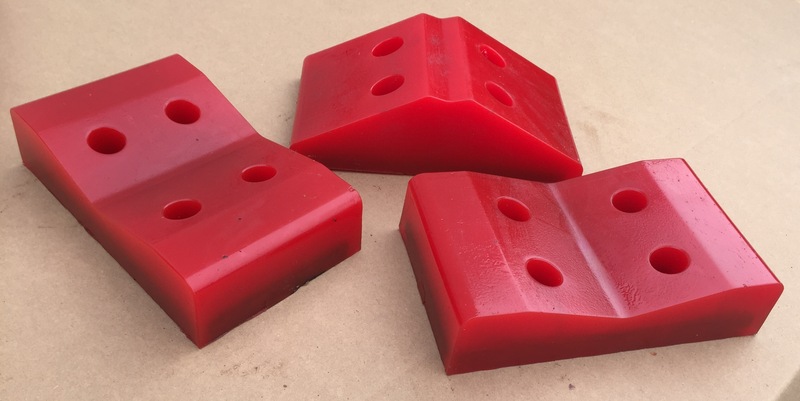 Lead times will depend on the size and design of the product, though in general, lead times are quite short when opting for polyurethane molding. What polyurethane molding processes does MUI use? Open casting. The material is poured into an open vessel and heated until it cures. The material is poured into an open vessel and a compression press exerts pressure on the material until it is properly extruded. Low pressure injection. The material is injected into a vessel that is fitted with bleed gates. The bleed gates permit air to pass out of the vessel, ensuring proper casting. Spin casting. The material is poured into a vessel that is set at a constant spin. The movement pushes air out of the cast. MUI will select the proper process and material composition for every client’s project, and with so many tools and options available, there is no limit to what we can do for our clients.